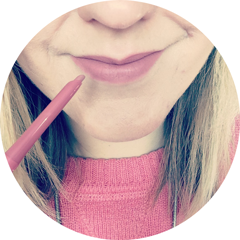 I haven't blogged in over two months (which was longer than I expected due to various factors) and I thought an empties post would be a good one to start back with as they're one of my favourite posts to write. 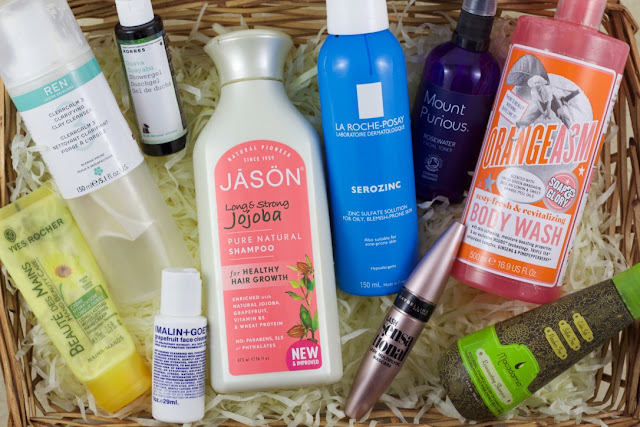 As normal I'm bringing you the lowdown on what beauty products went in my bin in September and October, a mini review and whether I'd re-purchase. I love citrus scents but I was disappointed by this one and for that reason, I mentioned it in a recent Disappointing Products post. The scent isn't very strong and not as zesty or refreshing as I thought it would be. The formula itself is lovely though - soft and creamy. Re-purchase? No, I'd pick up the Sugar Crush one instead. This hand cream definitely lives up to its name thanks to the inclusion of some hydrating botanical ingredients like Arnica extract, Coconut Oil and Colza (Rapeseed) Oil. It was really lovely to use and absorbs quickly. Re-purchase? I will do at some point; it's so affordable! I really like this foaming cleanser, which I used for my morning cleanse. It doesn't contain SLS, so it doesn't make my face feel dry or stripped afterwards - it is actually designed to balance the pH of all skin types. Re-purchase? I'm switching to cream and oil based formulas in the morning now the weather is getting cooler, so I'll consider this one next summer. I've wanted to buy a Korres Shower Gel for ages, but I always have a backlog of shower gels and can never justify it. However I bought this mini version to take on my honeymoon and Guava is just a beautiful scent - sweet, fruity and invigorating. Re-purchase? Yes, it's on the list to! I absolutely love using rose based toners and this one is pure, 100% organic Rosa Damascena Flower Water. As a result it is very gentle and I tended to reach for it on sensitive skin days when I didn't want to overload my skin. Re-purchase? Not at the moment as the Olivine Atelier Love and Roses Beauty Mist is calling my name! I used this SLS free shampoo mostly in the run up to my wedding earlier this year; it promotes healthy hair growth and I was growing my hair longer for the up do I wanted. This does actually work - just give it a few months! Full review here. Re-purchase? I've cut my hair back shorter now, but I would buy it again. This is my most re-purchased cleanser of all time - I adore it. It's perfect for oily, combination and breakout prone skin, as it's re-balances and soothes. Full review here. I reach for this spritz when my skin is breaking out badly and I find it reduces redness and irritation and helps spots heal faster. I'm really glad I listened to the hype and purchased it! Re-purchase? Yes I already have - I took advantage of a 1/3 off offer! This is officially my current favourite drugstore mascara, knocking Bourjois 1 Seconde Volume off the top spot. It lengthens, curls and volumises, with a glossy, rich black finish. It stays put all day and doesn't smudge or flake. Re-purchase? Yes, I recently picked up the new Ultra Black version. Although this is SLS free, it lathers really well and has a lovely, moisturising formula. It has that classic Macadamia scent, which makes your hair smell like it's been washed in a salon! Re-purchase? I do think it's quite expensive for such a small bottle, so not at the moment. What empties have you used up recently? Are you a fan of any of the products I've mentioned above?